For the past 6 years I have pursued my passion for Acting. also had fun as a Supporting Artist in film & TV. I was successfully cast as Debbie Davies Landlady in both series of BBC's Baker Boys, and made friends with the much admired actress Eve Myles. I have gained acting experience by completing 5 Acting Workshops over the past 4 yrs, and am a member of an Amateur Dramatic Group. So far I have done speaking roles in Baker Boys, Pobyl Y Cwm (and a line Inside Men in Jan 2012!) I enjoy acting in Short Films and have done numerous characters. I have also taken part in some theatre productions. In 2013 I co-starred in a professional short film shot at Elstree Studios. More recently I have been cast in three Feature Films, albeit small but pivotal roles, all filmed in Wales. Finally, in October 2014 I applied and was Pleased to be accepted as a SPOTLIGHT Member. In 2013 I was happily surprised to have been shortlisted in the Top Ten Unpaid Actors category in the Cardiff Mini Film Festival! In 2014 I have continued to enjoy acting in numerous Student Films. Have been in a Sky Commercial and been a Voice Over in a new Web Series. Loving the Variety & Challenges this Industry has to offer. Hiya, Okay I admit, this is my first ever Blog I won't lie to you, I'm not even sure what a blog is, but here goes !! I am one of the five Ghost-walkers/Storyteller for the New family/children Ghost Walk in Llandaff. So please click on the link below to see the dates available, you may even be lucky to have me, Morag the White Witch to entertain, spook and thrill you and the children on this fun hour long Ghost Walk. Welcome to the Waleslab group! Have a look around the group and the website for more info on how to get involved - you can now apply at any time in the year. Hi Linda, thanks for getting in touch, maybe we can meet for coffee next time your in Cardiff city centre? Thank you Linda, that's great. Yes, please let me know if you need another slot. Have a look around and get stuck in. A good place to start is by joining a group. I recommend checking out the Actors Group (which is looked after by Michael Salmon, Company Assistant). 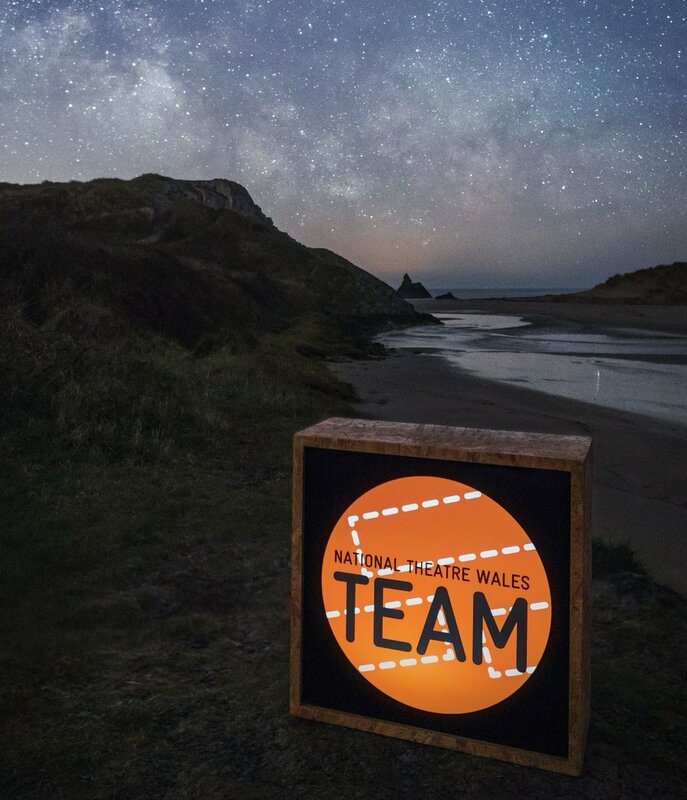 You may also be interested in the National Theatre Wales TEAM Group, where Devinda De Silva (TEAM Co-ordinator) shares information and opportunities to get involved with National Theatre Wales projects. You can also Write a Blog Post to update the community, or start a debate, or see What's On and add your own events in the What's On section. As usual it's best to just dive in, but if you do have any questions just give me a shout.